We also have available to hire: Back Packs, Sleeping Bags, Inflatable Mats & Gore-tex Raincoats. If you wish to hire any of these items, the cost will be added to your deposit and/or full payment. 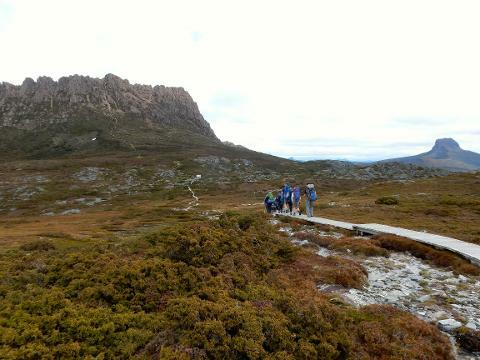 The Overland Track is one of the worlds Greatest Walks. It connects the iconic Cradle Mountain with Lake St Clair. 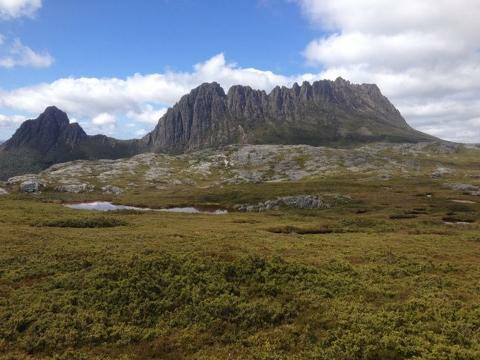 This tour starts from Launceston, Tasmania and we take a 2 hour picturesque drive to the start of your walk at Cradle Mountain. From Ronny Creek in Cradle Valley, the walk snakes its way through rainforests and past craggy mountain peaks and alpine moors to Lake St Clair. Your walk is over 5 nights and 6 days and this style of tour is camping in twin share four season tents on specially constructed timber platforms.